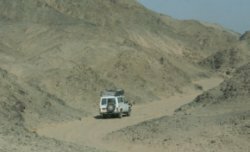 Most of the petroglyphs in the survey area are found within an area bounded by the Wadi Hammamat-Quseir road in the north, the Red Sea hills in the east, the Nile Valley in the west and the Wadi Baramiya-Mersa Alam road in the south. 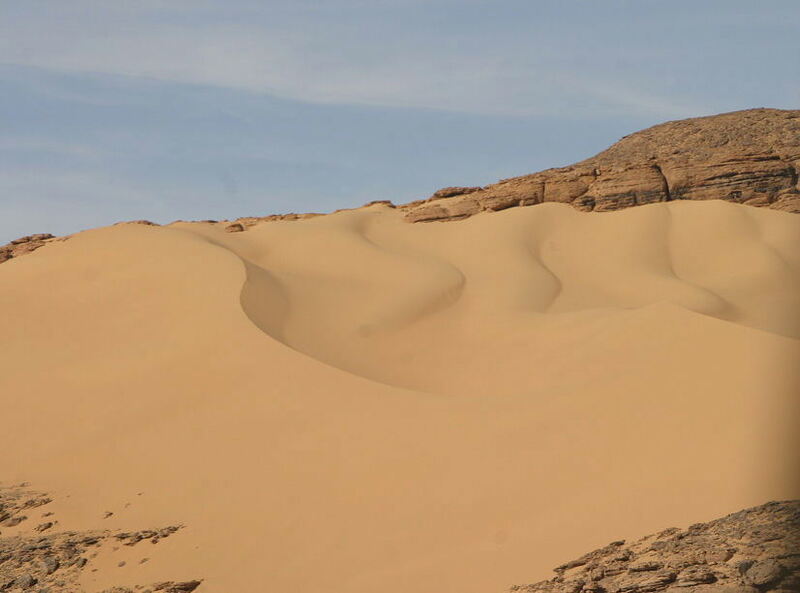 This forms a rectangle 125 by 50 km (6,250 sq km) 25-26° N/33°-33° 45' E. The survey area mainly consists of a sandstone band separating the limestone of the Nile Valley and the Pre-Cambrian limestone of the high desert and Red Sea Hills. The sandstone escarpment ends approximately half-way across the survey area. Although there are a few pharaonic inscriptions at wells and mines beyond this point in the Wadi Sigdig, at Bakariya north-west of Bir Baramiya (Tratsaert, in press), and some Horus falcons and dynastic boat motifs at Bir Abraq to the south-east (Field, 1955), the predynastic petroglyphs are limited by the eastern edge of the escarpment. There are very few in the limestone area immediately to the east of the Nile, especially those leading from the Luxor/Thebes area. Here, cobbles and boulders litter the wadi floors making walking uncomfortable. Moreover, the crumbly rock is not suitable for petroglyphs and there are no wells. On the other hand, the Wadis Hammamat and Abbad/Kanais are wider and their sandy bottoms make walking easier. 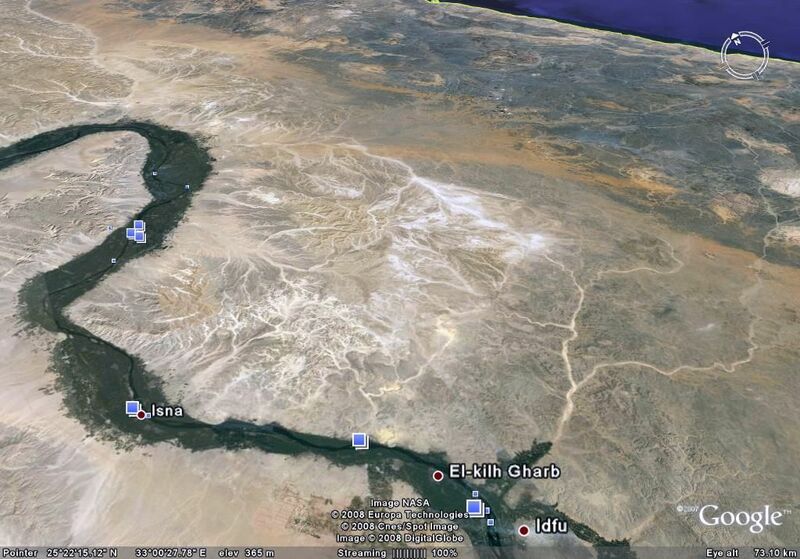 Thus, Hammamat and Baramiya were convenient entry gate-ways into the desert, rather than points between along the Nile. A day’s walk in, both north and south, are respectively Qasr al Banat with a large rock giving shade and Kanais Temple with shade and water. 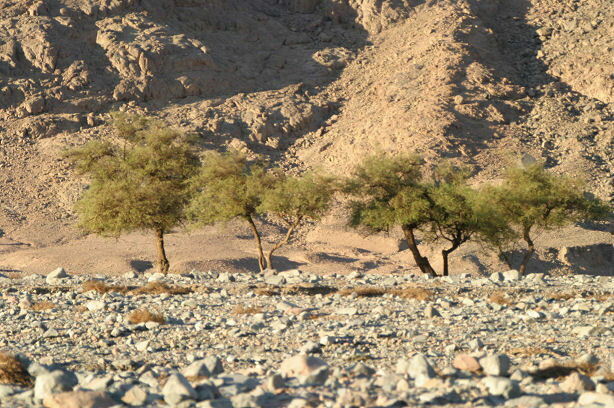 The only other entry point indicated by petroglyphs is Wadi Sharab, which connects El Kab with its concentration of Naqada I and II images (Huyge, 1995) with Wadi Kanais and has three early boat petroglyphs (Cervicek, 1974: Abb. 426/427, 463). In the south the wadis tend to be quite narrow. 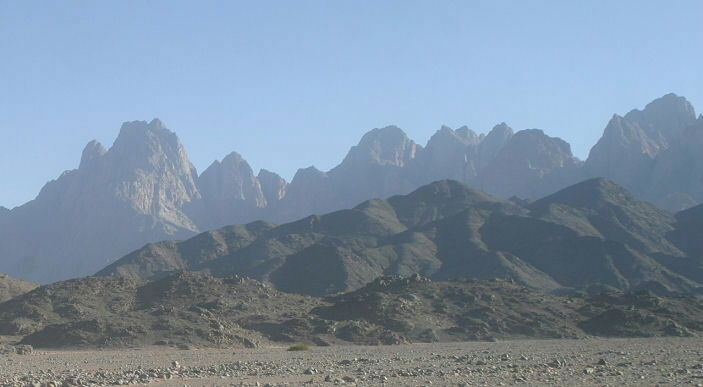 In the north Wadi Qash/Zeidun is wide, while Hammamat is easily traversed and El Atwani very difficult underfoot. 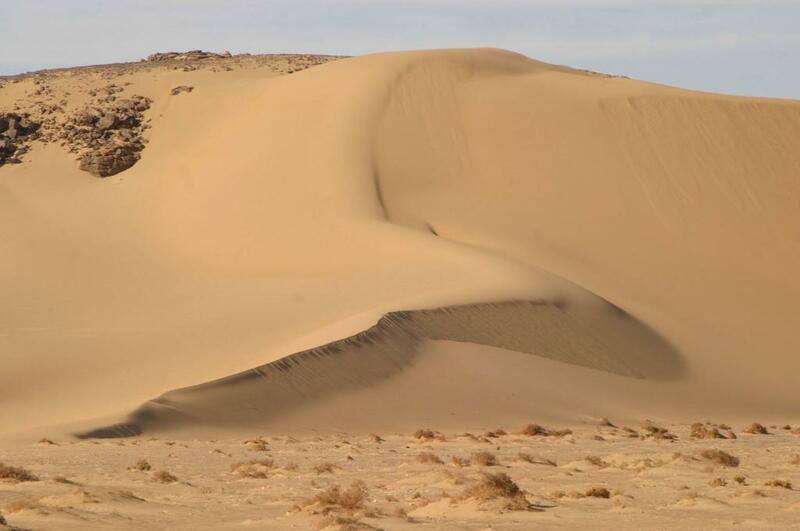 Nomadic Ababda live in the desert and there are sufficient water resources for a very sparse poulation even today.